With an abandoned game and a postponement, our under-23 team have played just one league game since November, a 2-1 defeat at Leeds on the first Friday of 2018, but today we are back in action with a trip to Huddersfield. We have, since the Leeds game, played twice in the Premier League Cup, losing against Newcastle and beating Swansea, but this afternoon we’ll be looking to try and close that gap at the bottom of the league. A point for Crewe last Friday means we can’t move up a place. They are four points ahead of us whilst Huddersfield are one place higher with one more point. However, we do have games in hand, two over Crewe and four over today’s opponents. We played the home game against Huddersfield in November and drew 3-3 in the only game we’ve played so far at the Turf in the Professional Development League. We were 2-0 down in just 19 minutes that afternoon but goals in quick succession from Oliver Younger (pictured) and Dwight McNeil brought us level. Huddersfield were very quickly back in front though and went into half time with a 3-2 lead. 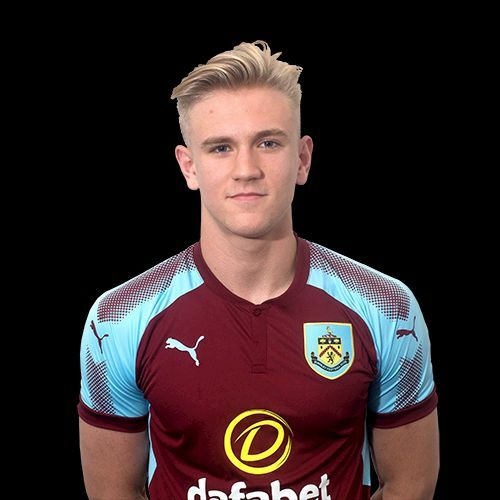 McNeil, though, got his second just past the hour to give Burnley a deserved point after a very good second half performance. Today’s game will be played at PPG Canalside and not at the John Smith’s Stadium as previously advertised. It is just a twenty minute walk from the main stadium and the address is 509 Leeds Road, Huddersfield, HD2 1YJ. Kick off is confirmed for 1 p.m.